When you've got a rumbly in your tumbly and you're looking to munch an early luncheon, yeah, you might be a Pooh bear. If you've got no bothers left to give... you might be a Pooh bear. If you live in a tree under a sign that says "Mr. Sanders" then you're definitely Pooh bear. If none of those things are true, but you'd like them to be, then we've got what you're after. No need to look through the Hundred Acre Wood for that lovable stuffed bear. 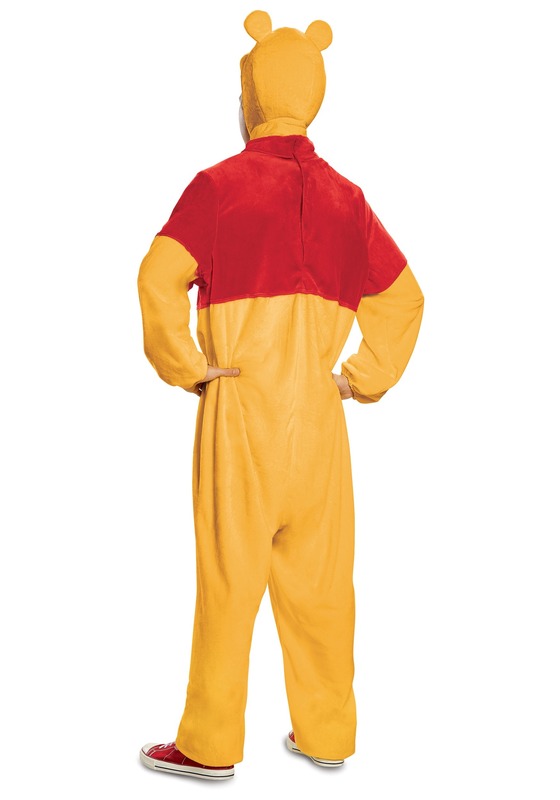 This Winnie the Pooh costume is just the thing you need to become the classic Disney character from the animated films. 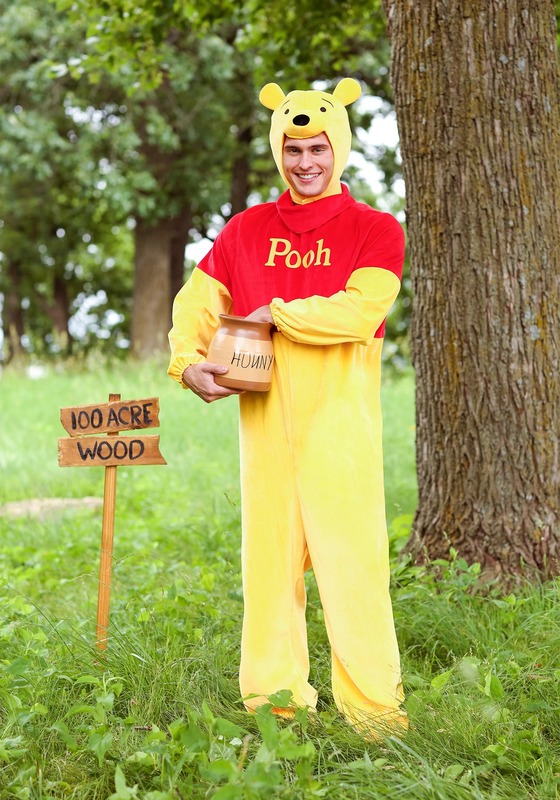 We're not saying you'll fool any honeybees into handing over their honey with this costume, but we're pretty sure Piglet and Christopher Robin will recognize you as their best friend, which sounds like a ton of fun. Those two know how to throw an awesome party. 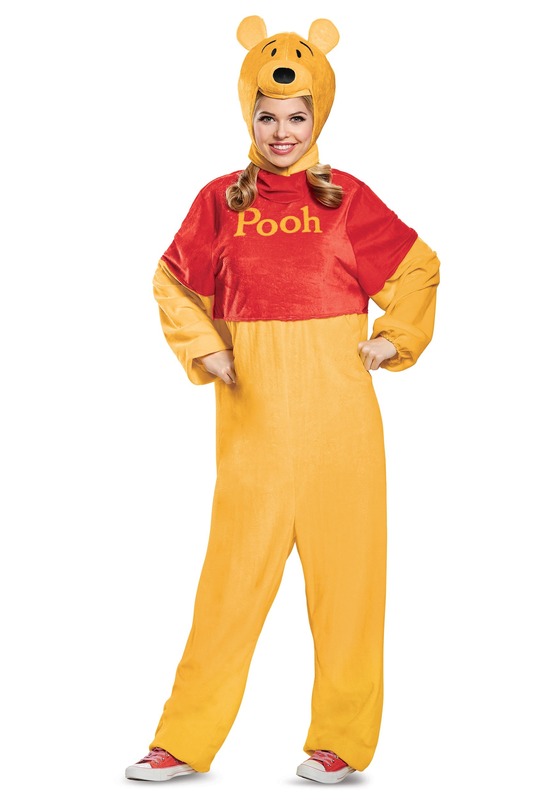 Even if you don't go to the Hundred Acre Wood to find Eeyore's new tail or deal with Tigger's incessant bouncing, we think you're going to have a lot of fun becoming Winnie the Pooh with this deluxe costume. If nothing else, you can eat a lot of honey (or HUNNY) and just say that you're staying in character, method style. Because honey is delicious and sweet, just like Pooh. This costume features his iconic red sweater and a jumpsuit of yellow fluff, and even a headpiece with two happy eyes on top. No more, "Think, think, think..." for you... you're going to be this silly ol' bear and that's that!